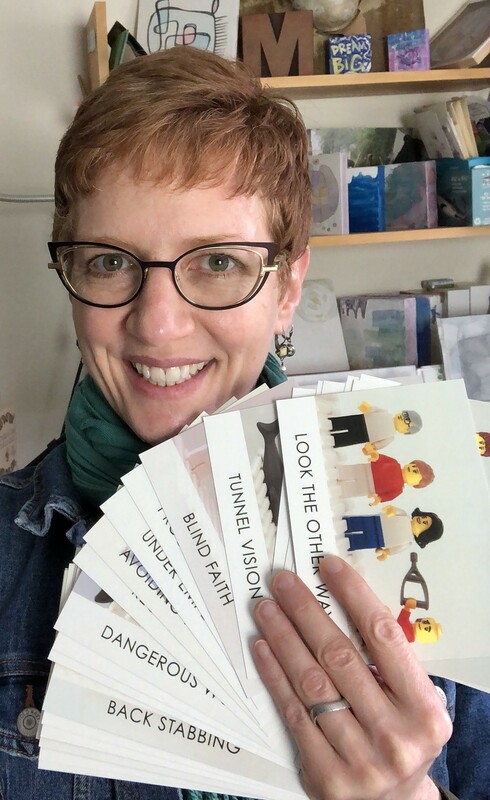 “I bought the cards because I saw their potential as a fabulous tool for workshops and as great diagnostic tools when meeting with clients." I brought a deck of Teams (blue) cards with me to a demo at Visa headquarters and laid them out face-up before everyone arrived. I walked the participants through a few LSP activities (the Duck, the Tower, a couple of tower modifications), and then when they were packing up their LEGO®, I asked them to think about how they could envision the activities we just did applying to their work at Visa. Then I asked them to walk over to the table with the Teams cards and pick a card with a challenge they thought LEGO® SERIOUS PLAY® might be useful for. We circled up, and one at a time the participants held up their cards and shared how they thought LEGO® SERIOUS PLAY® would be helpful for that particular issue. It was the perfect closing to my demo: 15 participants all selling themselves and each other on the benefits of LEGO® SERIOUS PLAY® for their company! (A hat tip to fellow CERTIFIED LEGO® SERIOUS PLAY® facilitator Travis Reed who offered up this business development idea). Melissa Dinwiddie founder of Creative Sandbox Solutions™, a creative consultancy that helps organizations build thriving creative cultures so they can improve productivity, retain great talent, enhance recruitment, boost profit, increase sales, and deliver exceptional service, all through the power of play! She lives in Silicon Valley with her husband and Siberian cat, Nika, and performs improv and plays ukulele in her not-so-copious spare time.